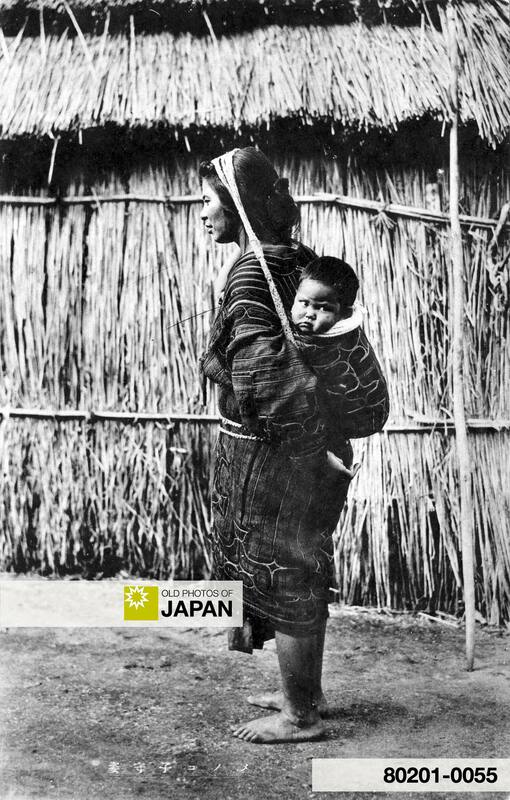 Ainu mothers carried their young children in a loose garment, or net, on their back. The garment or net was supported by a band round the mother’s head. Ainu men carried children by holding them in their arms. This is quite different from the Japanese way of carrying children. For a sample of this, see 1910s • Children Carrying Children. For an interesting passage about the bond between Ainu mothers and children, read 1900s • Ainu Family. You can also licence this image online: 80201-0055 @ MeijiShowa.com.